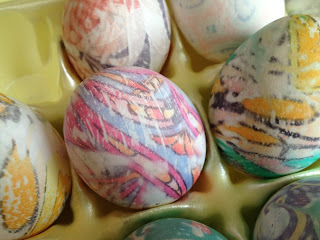 Just completed some of my traditional "Martha Stewart" silk-dyed eggs...there are more simmering now. Such fun because each is always an interesting surprise! The directions are in my Archives.